You can earn 35 yards with this purchase! 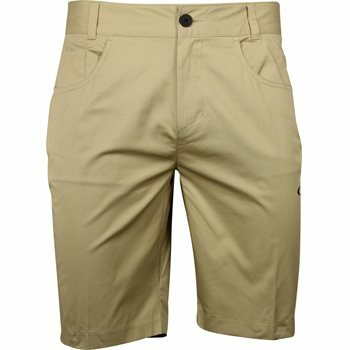 The Oakley 5 Pocket Golf shorts are designed with 5 pockets so you can carry all your small golf accessories with ease. Additional design details include seamless gusset construction, an invisible side pocket, and the Oakley ellipse below the front left pocket. The 5 Pocket shorts are made with spandex so they stretch and move when you move. The shorts are also made with nylon, offering durability for machine washing and natural moisture wicking to help keep the skin dry. What is the inside seam measurement? The inseam is listed as 11 inches.